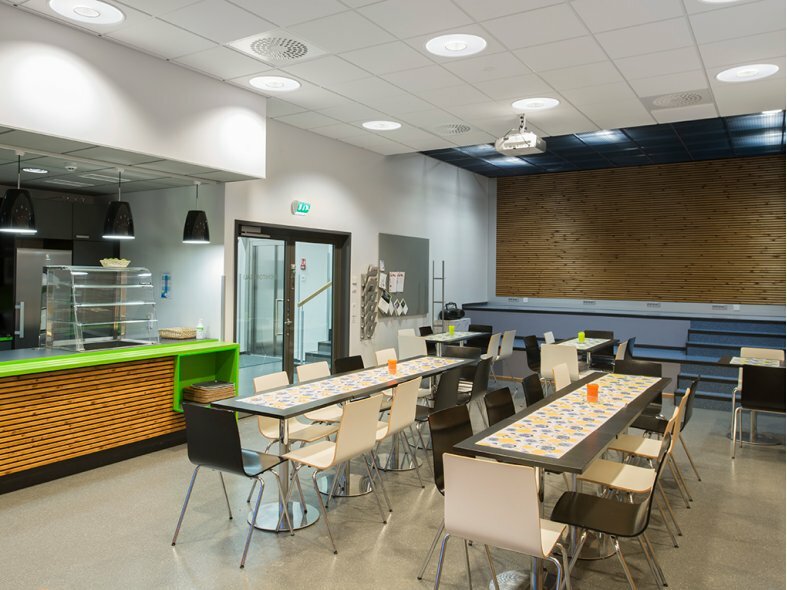 Producing a comfortable general light and available in two different sizes, Terso is an ideal solution for reception desks, entrances and meeting rooms, irrespective of ceiling height. 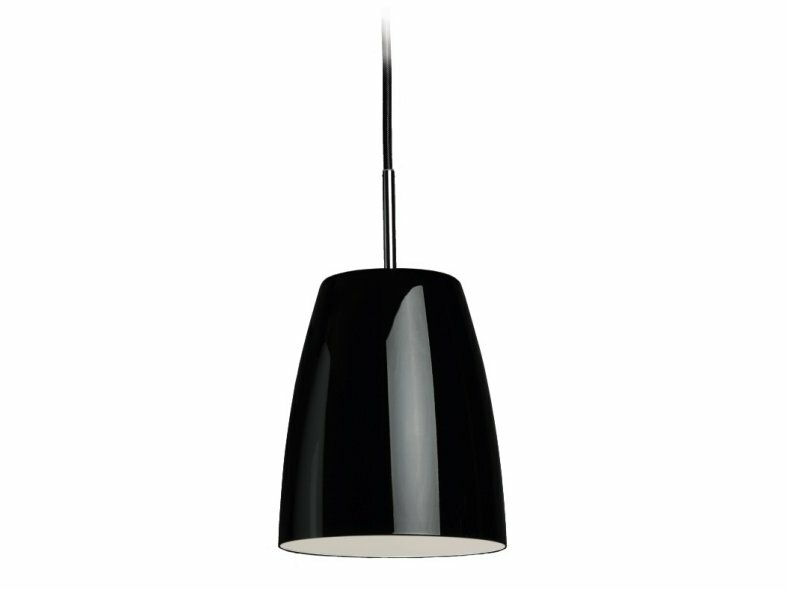 Terso's high gloss surface in black or white is mirrored by the ceiling cup, and is connected via a coloured fabric cable to provide a consist style. To add some additional variety Terso can be produced in an array of different colours to match either a brand or interiors palette. 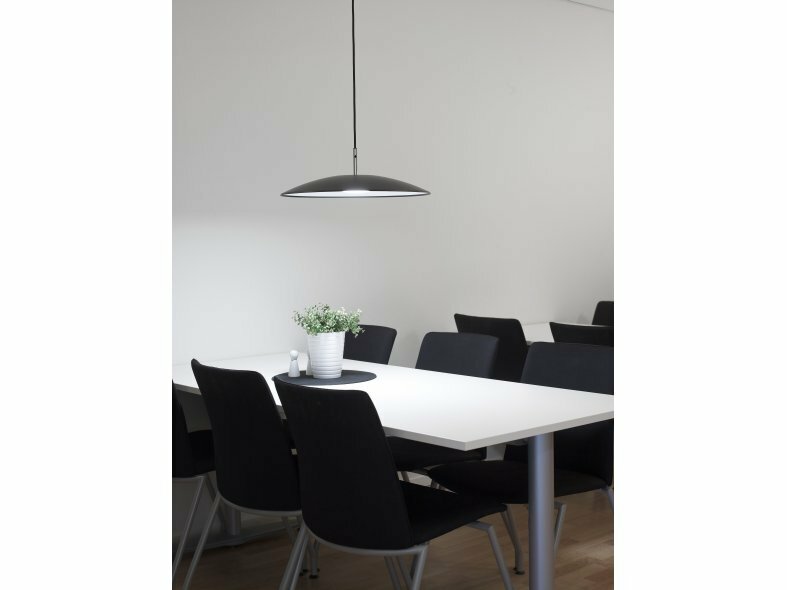 Terso Flat has a thin and elegant appearance that emphasises any environment with either a matt white or matt black shade. 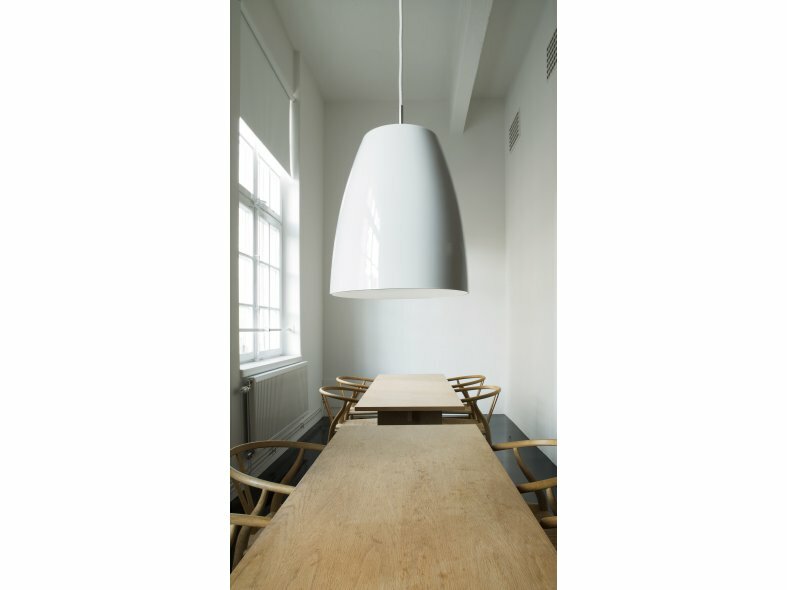 The inside of the luminaire is painted white, which reduced the contrast between the LED light source and the matt shade.